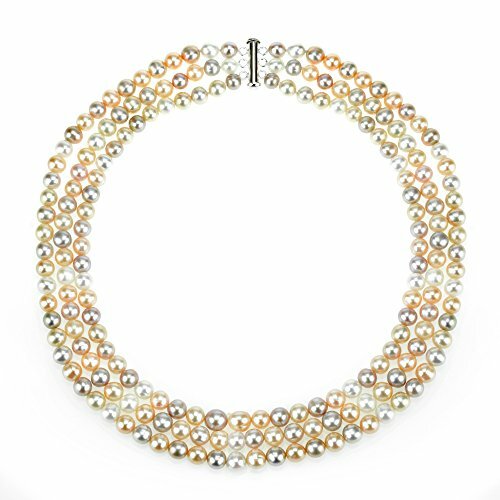 A Beautiful and Elegant Sterling Silver 6.5-7mm Freshwater Cultured High Luster Pearl 3-rows Necklace 18" Length. This necklace is hand-strung un-knotted, and secured with 3-ring tube-clasp. We Carry Different Color of Pearls, Different Length, and Different Size per Pearl. Please Contact Us for Detail if You Did not See What You Want. Our pearls represent the finest in pearl selection, hand-picked for its luster, cleanliness quality, and color.